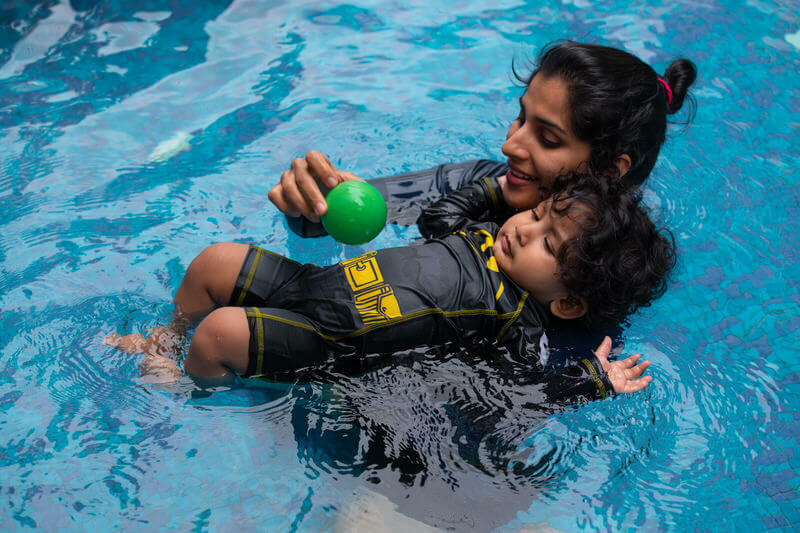 Bubbling Fish Infant & Toddler Swim Program has been designed and is executed by Nirala Bopanna Rai for kids between the age of 6 months to 4 years. 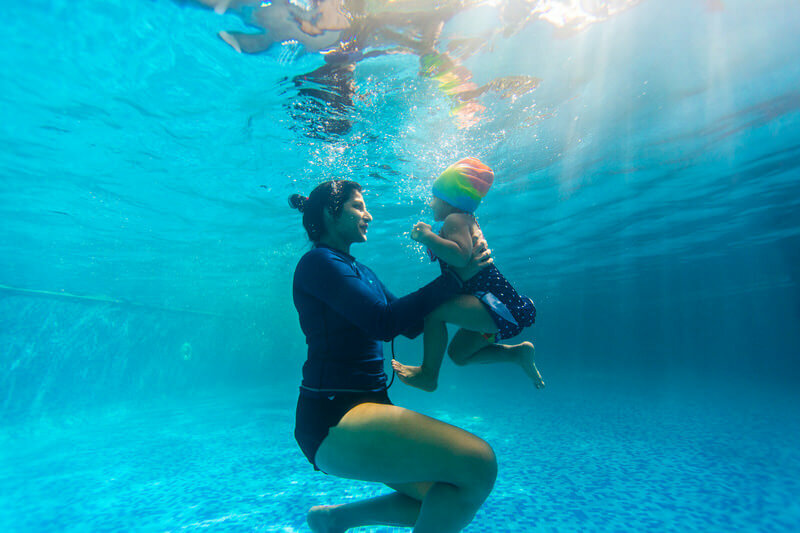 Nirala is an Austswim certified swim teacher for infants and toddlers. She holds a CPR certification too. 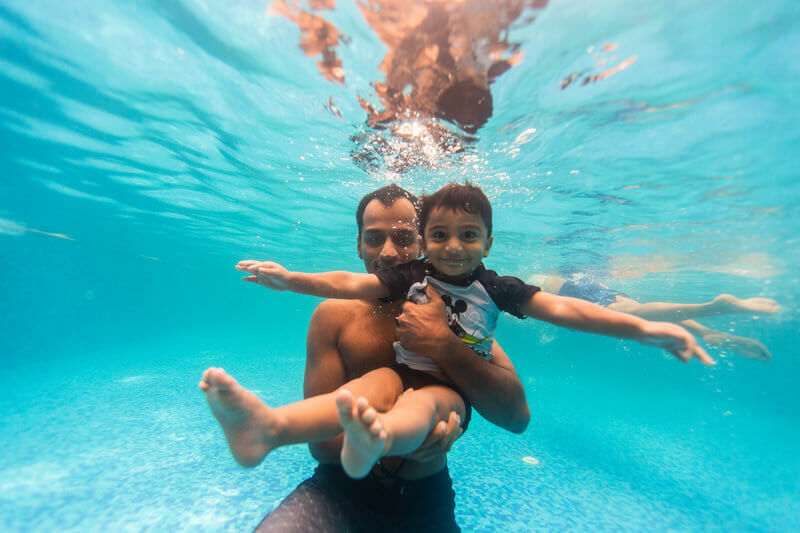 Bubbling Fish is a parent-child program and aims at helping babies and children get comfortable in water, enjoy water and eventually learn swimming the right way. 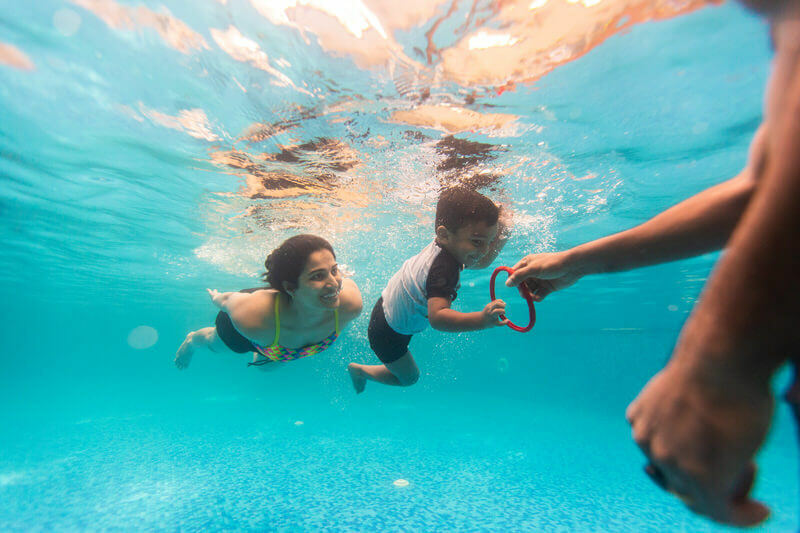 It is designed to help your child develop swimming skills using toys and rhymes, thus making it fun and removing the fear factor. 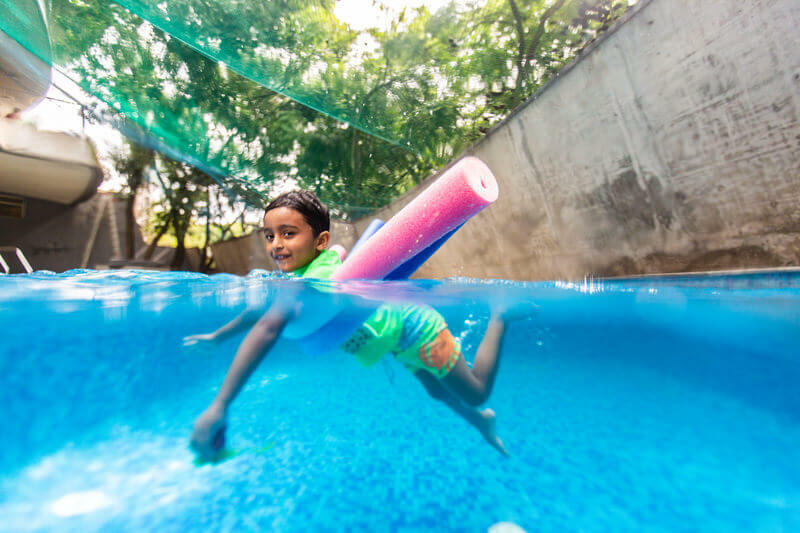 Creating a good foundation to learn swimming, enjoy water and encourage children to return to water willingly and eagerly. 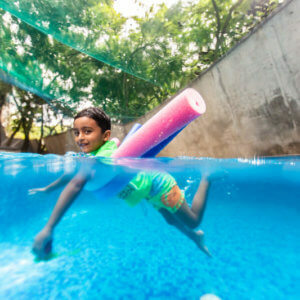 Introduce preliminary aquatic activity which with practice, right equipment, teaching techniques and time, will lead to age appropriate skills. 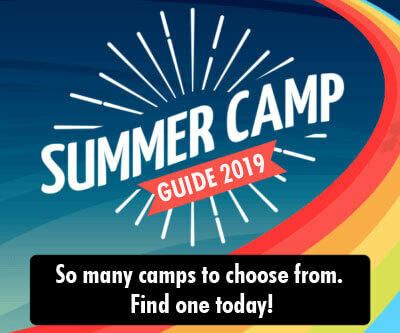 Develop motor skills, hand eye and foot coordination, joint flexibility, sense of balance. Stimulate the brain at very young age. Increase appetite, good sleeping pattern. This is a parent child swim program for infants and toddlers. The class is structured/planned differently for different batches. Each class is structured to concentrate on different aspects of swimming skills. But most importantly teaching the child to be safe in water. A lot of safety techniques is taught to the child. 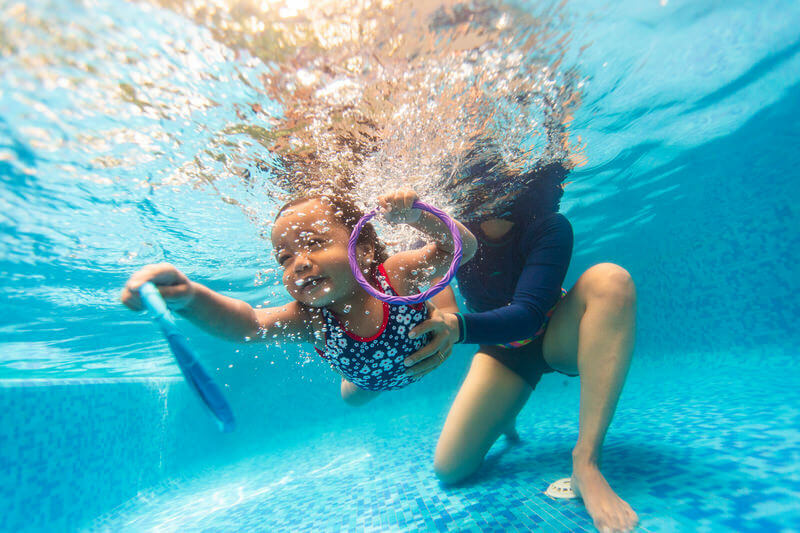 A class typically concentrates on water familiarization which includes movement in water, floating, breathe control, conditioned entry and exit etc. Swim diapers are a must for your child for below 3 years. Available at ‘The baby shop ‘ Indiranagar. Swim wear and cap (optional) for your child. This a parent/guardian child program-a parent/guarding has to get into water with swim attire and swim cap. The parent/guardian needn’t know swimming. Carry a jacket with a hood for your child to wear after the swim program. 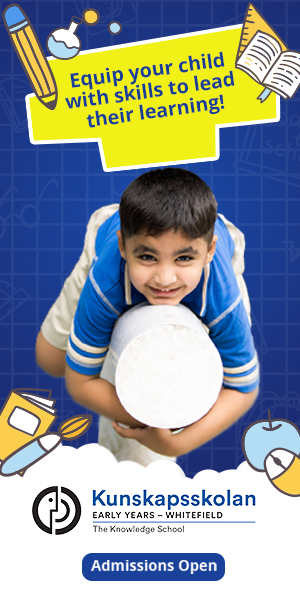 Carry warm water and a snack for your child after the program. Please feed your child at least 20mins before the program starts. Please come early so that you have enough time to change and have a shower before the program begins. Do not get into the pool until the teacher instructs you to do so.